As we've played the final episode of Life is Strange we sum up our experiences (without spoilers). With the final episode of Life is Strange out, time has come to review the season or perhaps rather the full game. Over the course of the 9 months or so that the episodes have been released, we've covered each episode, so for more in depth coverage look those up (links can be found at the end). Life is Strange tells the story of Max Caulfield, a student at Blackwell Academy and a budding photographer. It tells the story of how she and her estranged childhood friend Chloe (Max has lived 5 years in Seattle, before returning to Arcadia Bay where she grew up) try and solve the mystery of a missing girl, Rachel Amber. A girl who seems to have connections to pretty much everyone in town, much like Twin Peak's Laura Palmer. She also became Chloe's best friend after Max disappeared. As the game starts Max discovers she has time warping abilities as Chloe (who she hasn't seen in 5 years) gets shot in the restroom at Blackwell Academy. Time rewound, Max saves Chloe's life, and as you'd expect this ability becomes as central part of the game as the girls put themselves in plenty of dangerous situations. Finding out the truth about the mystery and the time travelling are really secondary as the main theme here is friendship and coming of age. In this respect there are plenty of very important side characters, in addition to Max and Chloe. They are not just backdrops and the way you treat them and deal with them will have some major impact on how you ultimately decide to deal with what has come to pass over five days in Arcadia Bay. Each episode of the game offers roughly 2-3 hours of gameplay, probably closer to 3 if you're not rushing, and throughout the adventure there are plenty of twists and turns. And this is a game you will be playing to experience the narrative. Sure there are light puzzles here and there, and the ability to reverse time is often used to allow Max to change outcomes and reconsider choices. The mechanic that may have come across a bit like cheating at first proves very interesting and also central to the narrative. While the ability to rewind time or use photographs to go back in time and alter events is always there, it is not until the fifth episode where the supernatural theme takes centre stage. But even as it does, the story is very much rooted in the friendship between Max and Chloe. Throughout the adventure Max has been struggling to keep Chloe alive and this all boils down to a conclusion that had us tear up. Given how abstract the final episode was, that was quite the feat. 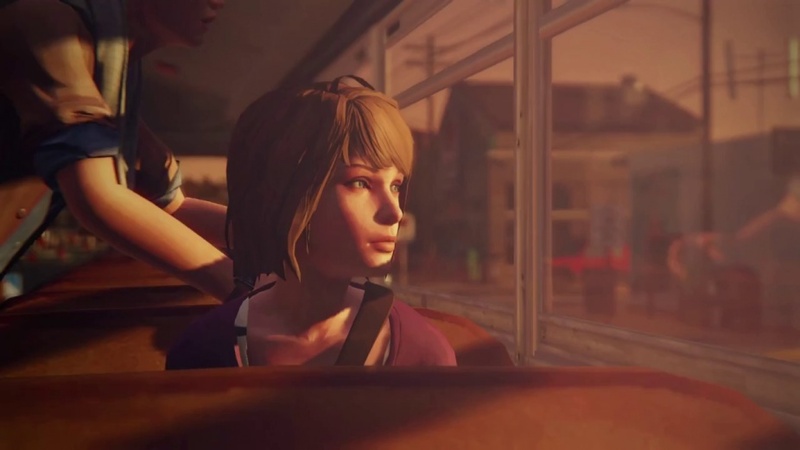 Overall we're very happy with what Dontnod has managed with Life is Strange. It's a very unique and memorable journey that offered a good look into the everyday life of a young girl, while also managing to provide a rather far-fetched murder plot, supernatural themes, time travelling, and lots of drama. As is often the case with these sorts of games, pacing is an issue at times. It's not quite there with the juice box in Heavy Rain (if you recall the rather mundane early scene that involves making breakfast), and as you reach the end there is very little that feels like filler or meaningless. We're treading very carefully here not to spoil anything for you if you haven't played all the way up until episode 5, or if you have yet to start on the adventure (you really should by the way). But the final episode does provide you with a lot of closure as Max is forced to revisit several old scenes to try and alter the present. In terms of visuals and presentations a few things need to be mentioned. First of all, the use of music and the soundtrack is ace. It truly feels like the sort of indie pop a girl like Max would listen to and it really helps immersion. Lengthy sequences like the bus ride with music on top may have felt like filler in other games, but here it felt relevant and meaningful as it helped to place us in the moment. The visuals aren't the strongest part of Life is Strange, and in the final episode there are some crowds where the faces of strangers (specificially at the art exhibit and in the airplane) feel overly rough and low-polygon. However, the camera work and attention to details is superb. In fact, looking back at things like scribbled graffiti as you've finished the game makes for an eerie sensation that the truth was indeed always out there. We mentioned that the ending had us in tears. It is indeed very powerful and, as it should be in a game that is very personal and that mainly revolves around friendship, the choice you make towards the end is going to be a very personal one. One that reflects your views of the events and your morals. It's not a black and white decision and the story is leading up to this climax beautifully. It's interesting that while Max is the main character, the story really revolves more around Chloe. In many ways Max is like an alien who has landed in Arcadia Bay at this particular point in time, not so much for her own sake but more for Chloe and the other people of the small struggling town. At the end of a very turbulent week in Arcadia Bay we have to say that this is a game that anyone who appreciates this sort of episodic adventure owes it to themselves to try. It really managed to make us care, and while the dialogue isn't stellar throughout, the narrative is brilliant. Pacing is sometimes a problem, Production values like lip sync and certain graphical details are lacking.